Stefanieis very good and is very thorough. She listens to you and then discusses options. She is a very good F.N.P. I would recommend her to everyone. I was very happy with Mr. Grayson’s care for my condition and look forward to working with him to resolve it. Really listens, actually remembers you from visit to visit! Follows up to make sure mental, physical, day to day health is well. Once again, awesome Doc. Always thoughtful and caring. Glad to have him as my doctor. professional and very attentive to your needs. Very thoughtful. 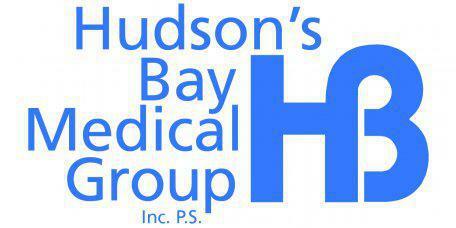 I have been using Hudson Bay since 2001. I remain loyal not just because it is a well-respected and clean medical facility, but because the staff and doctors have been very professional, knowledgeable, empathetic, friendly, caring and honest in all of the 17 years. I've had several doctors and their assistants and can"t complain about any of them. The staff at reception has always been helpful and welcoming. Charles Grayson is my primary care physicians assistant. I feel fortunate to be in his care as he is so thorough, honest, and has the commitment to what real care is. I am extremrly confident I will remain a content patient as long as I live in the Vancouver, WA, area. Professional, direct. Provider acknowledged and listened to the conditions for the visit. HBMG is quite fortunate to have Ms. Aring on board. I left with a confidence that I had been seen by a dedicated health care professional given the overall visit. Thank you. I've had very good results from my office visits with Chas.Grayson. Sometimes I need too see a doctor promptly & unable too schedule with my regular doctor on short notice. I then ask to see Chsrles Grayson. It has saved me from having go to Urgent Care. Professional, accepted input and to the point. Very good. Stefanie was well informed and knowledgeable. My whole family has used this group for 25 plus years; we have a lot of trust and confidence and trust in them. Good except having a second person typing the entire visit. Do I get copies of transcripts? Very easy to talk to. I appreciated her asking another Dr for his opinion. He is very concerned about my condition and is taking steps to find out the cause and a solution. Very nice man, and his staff and intern are as well. She has a great presents with patients, understands us, and cares about us! she is very enjoyable to work with.